Originally listed for 748,000? and recently reduced to 525,000?. 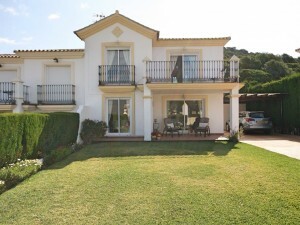 Wonderful family villa on a large plot with private orchard, fruit trees and an inviting private pool. Situated in a peaceful area, the magnificent property is full of character and has a large living room with fireplace, a double garage, a large sunny terrace and BBQ area. Within walking distance of the beach and amenities, this is a property that must be viewed.